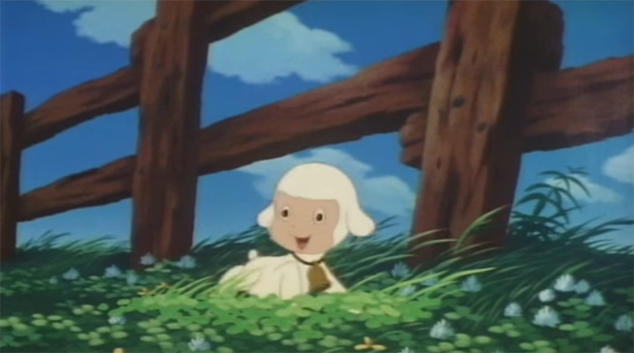 Before we get into this review, if you are planning to watch Chirin’s Bell, a deceptively adorable-looking movie from Japan, and you want to go in knowing absolutely nothing about it, then consider this your spoiler warning. I’m going to be talking about this shockingly dark (children’s?) movie in depth, so turn back now, if you don’t want to know what horrors await you in Chirin’s Bell! Are you the kind of person who thinks that Disney’s Bambi, is too sweet and innocent? Do you think the The Lion King was a bit too happy-go-lucky? If so, perhaps you would prefer a movie like Chirin’s Bell instead! 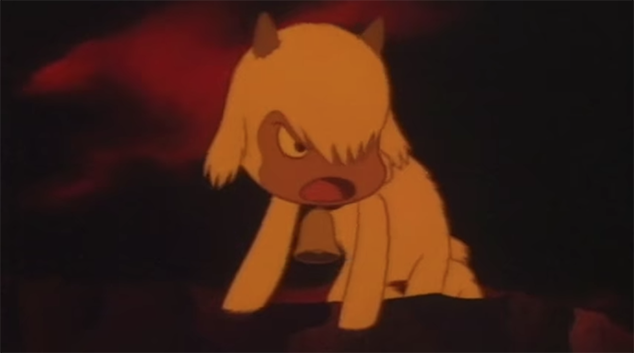 Chirin’s Bell is like if, instead of Bambi being raised by his father after the death of his mother, he sought out the hunters who killed his mother and insisted they teach him how to use a gun. Or if Simba, instead of running from Scar after his father’s murder, decided to join Scar in his conquest of the Pride Lands. Because, that’s basically what happens in this movie! 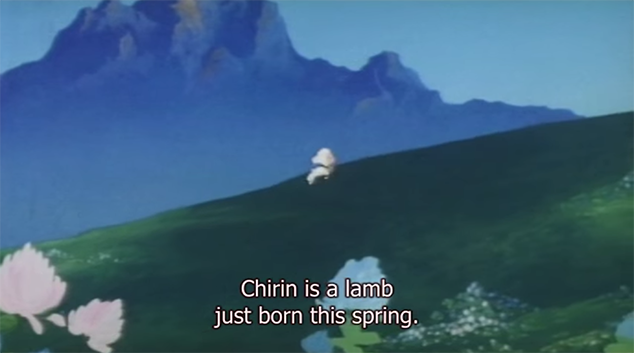 Chirin’s Bell tells the story of a tiny, adorable lamb whose mother is brutally murdered by a wolf, right on top of him, as she shields him with her body. This shocking tragedy, in what appears to be an adorable kid’s movie from the makers of Hello Kitty, (Yes, really!) 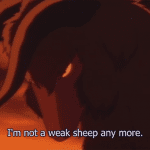 ends up leading to an agonizing, two minute long scene of poor baby Chirin snuggling with his mother’s dead body, realizing she’s actually dead, and then wailing and sobbing and thrashing around, all over her corpse, begging her to wake up, all while the other sheep look on in horror and sadness. Holy. Cow. Was this scene dark. And it really only gets darker from there! 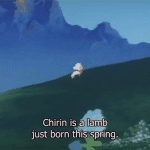 Initially I thought that Chirin was going to seek revenge upon the wolf. Once he realizes his mother is truly dead, he flees into the mountains in search of the wolf, but instead of just wanting to fight him, he begs him to teach him his ways. 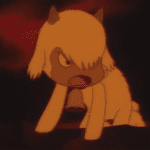 And then, just to get even darker, once little baby Chirin starts to grow up a bit, he gets his horns, and then he joins the wolf on his hunts! And he literally uses his new horns to kill for the wolf! I think Chirin just kind of went insane after his mother died. 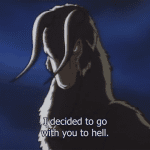 In the end, after the wolf orders him to murder a pack of watchdogs in order to get at barn full of his fellow sheep, which he also wants Chirin to kill for him, he finally realizes what a monster he has become. 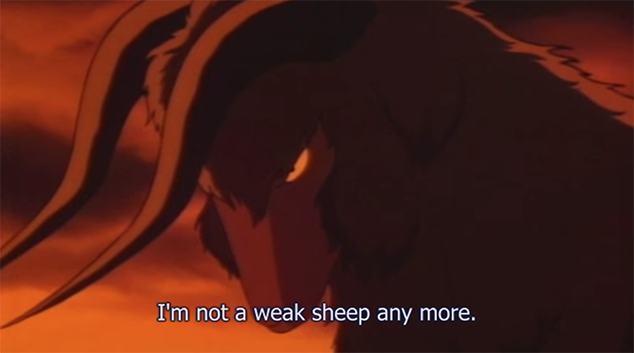 I mean, he kills all the dogs first, but he sees the light before he gets to the sheep, so that’s something I guess. Right? Anyway, at long last, Chirin finally turns on the wolf, and kills him instead. You’d think that would mean redemption and a happy ending right? The grateful sheep will obviously welcome their prodigal son home with thankful hearts! Wrong. This ain’t no Disney movie! The sheep are obviously terrified of him, having just seen him kill every last watch dog that had been guarding them only moments before. 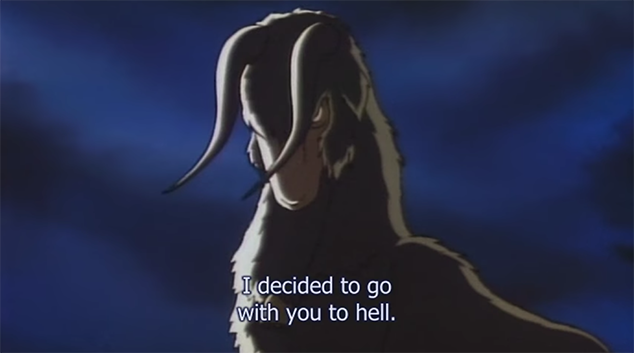 The sheep lock themselves in the barn, leaving Chirin to wander sadly back into the mountains where he mournfully begs for the dead wolf’s forgiveness for killing him, and he lives out the rest of his days, wandering the mountains alone. The end! So yeah! A happy funtimes movie for the whole family! Bring the kids! All joking aside, despite the darkness, I think I may actually be kind of glad I watched this? It was so incredibly, completely, 100% totally different than anything else I’ve ever seen, that in some kind of dark, slightly morbid way, I think I may have actually kind of enjoyed it! However, at the same time, I really don’t know how likely I will be to revisit it. It was just so, so dark, and if you know me, you know I far prefer to watch things that make me happy, so this is probably just a one-time watch for me. If this had been a happier story, even if they changed nothing about it until the end and made it a story about redemption, I think I would look at it differently, but the fact that Chirin himself became just as dark and evil as the wolf, like, literally killing for, and alongside the wolf, even if he realized in the end he was wrong, just kind of soured it for me. I was really hoping for redemption, because I am a sucker for a good redemption story, but the fact that it never came was kind of disappointing to me, even if I did enjoy just how shockingly different this movie was. If you’re a fan of Japanese animation, dark stories, tragedies, or if you just want something totally different than your average, mainstream, American animated movie, then I think I probably would recommend this one. But if you just want a happy story about an adorable little sheep, well, I think Aardman Animation might have a franchise you’d enjoy instead. Have you seen Chirin’s Bell? If so, what did you think of it?